H. Moser & Cie., the Schaffhausen-based manufacture which is attracting the attention of many collectors and enthusiasts for the quality of the in-house movements and the meticulous hand-made finishing, presented three new limited editions of three H. Moser successful models, all of them characterised by a unique blue fumé dial and palladium cases. 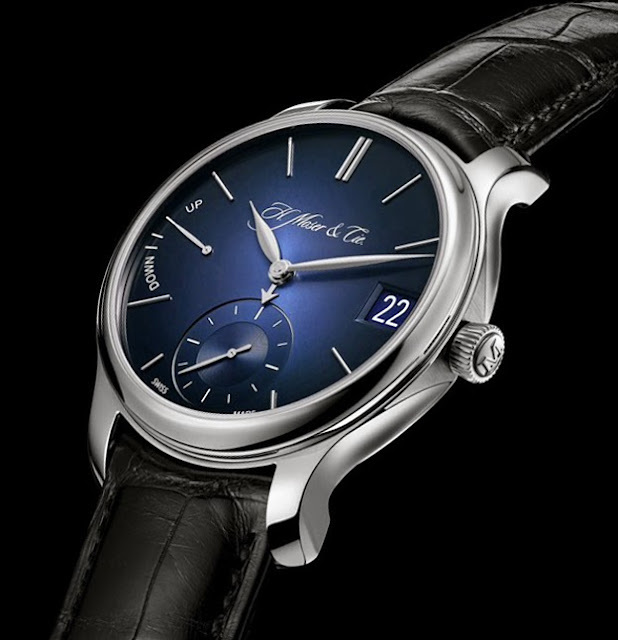 The Mayu Small Seconds features an off-centre subsidiary seconds display. 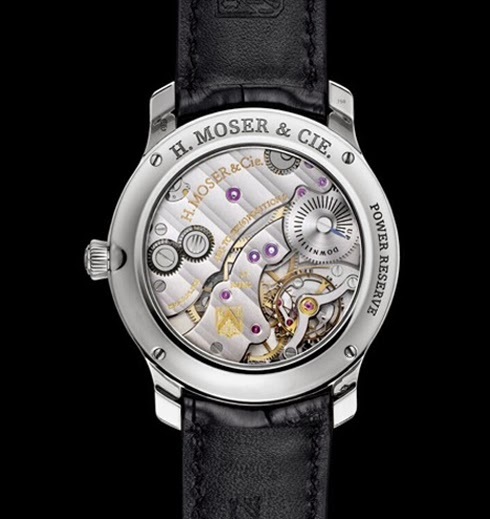 The simple and elegant design of the 38.8 mm case houses a sophisticated movement where the pallet fork and the escapement wheel are made from hardened solid gold. 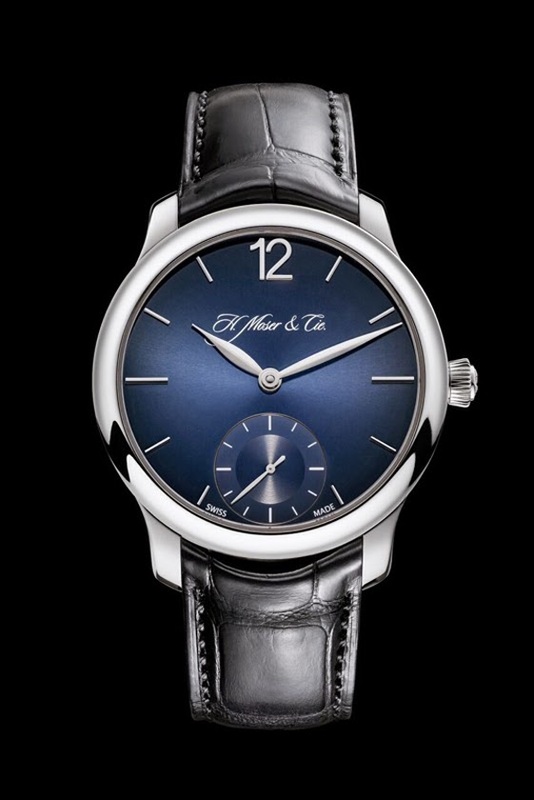 The Monard Centre Second has an even more streamlined design in a slightly larger 40.8 mm case. And, finally, the Perpetual Calendar with its instantaneous date change and the typical short central arrow hand which uses the 12 hour indices to indicate the month. 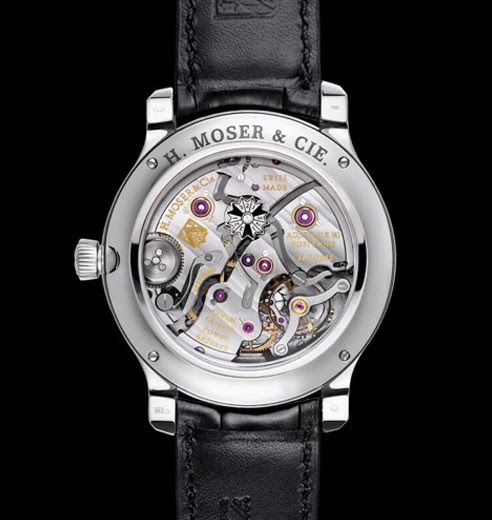 The leap year cycle indicator is visible on the movement side. 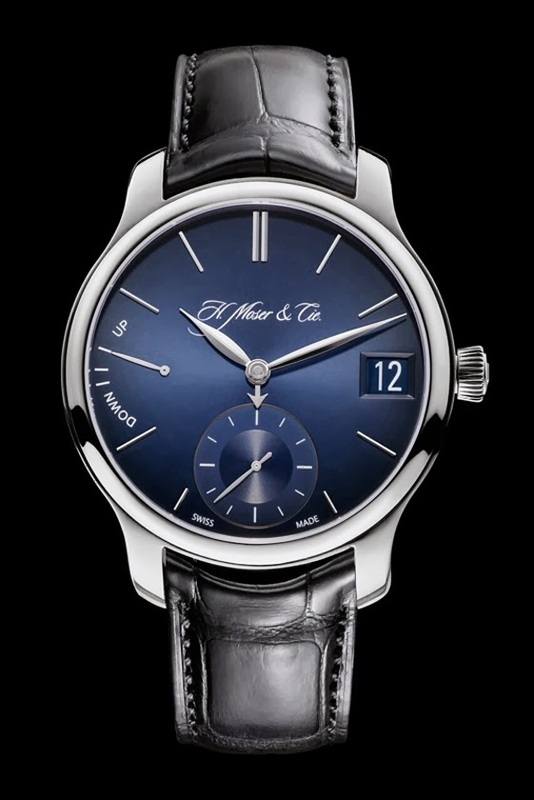 Each of these limited edition models will be issued in just 20 pieces, available through H. Moser & Cie. authorised dealers. 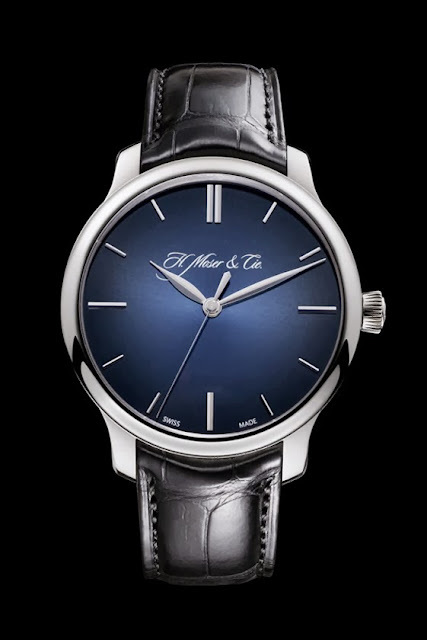 H. Moser & Cie., the Schaffhausen-based manufacture which is attracting the attention of many collectors and enthusiasts for the quality of the in-house movements and the meticulous hand-made finishing, presented three new limited editions of three H. Moser successful models, all of them characterized by a unique blue fumè dial and palladium cases.